We are pleased to announce our 2015 Annual Conference Keynote will be Robin Bergart, User Experience Librarian, University of Guelph Library. Robin is a member of the User Experience team at the University of Guelph. This team looks for creative ways to step into users’ shoes to see the library from their perspectives. As a member of the she explores user behaviours, expectations, and needs in evolving academic, technological and information environments. She is currently editor-in-chief of The Partnership Journal, and former author of the Random Library Generator column for Open Shelf magazine. 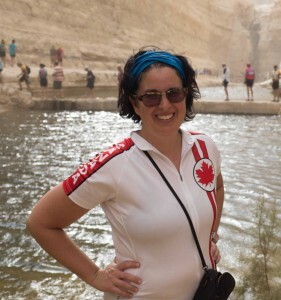 Robin holds BA (McGill), MA (McMaster), MJEd (Hebrew College), MISt (University of Toronto). Robin will be co-presenting a UX Workshop with Memorial University Libraries Web Services Librarian, Krista Godfrey, that will dare you to challenge your cherished beliefs and assumptions about the people who use your library! Learn practical techniques to help you gain deeper insights into your users to help you make improvements to your library that will enhance your users’ experience of your collections, services, spaces, and website.